The backlash stemming from California’s latest restrictions on water use is not entirely based upon “pure fiction,” as the bill’s author, Assemblywoman Laura Friedman, claims. AB 1668, which encourages the State Water Board to fine water suppliers for straying from their water budgets, is just the latest instance of California’s overregulation of water rights. Before our elected officials provide the State Water Board with any additional regulatory authority, they should review the impact some of the current regulations have had, specifically those associated with SB 88. Passed in the middle of California’s last drought, SB 88 intended to crack down on unauthorized diversions of water by requiring any individual diverting 10 or more acre-feet of water per year to measure and report their rates of diversion to the State Water Board. This extremely low threshold trigger places an undue regulatory burden on small agricultural water rights holders. To comply with the law, small farmers and ranchers are expected to pay high costs to install and maintain measurement systems that can monitor their water diversions and storage. For small farmers diverting more than 10 acre-feet per year, the State Water Board mandates weekly reporting to within 15 percent accuracy. To do this, farmers are required to hire experienced professionals, typically from engineering firms or specialized contractors, to install measurement devices and certify their accuracy. Depending upon the complexity of a farm’s water system, initial appraisal and installation can cost well over $4,000. For small farms, the majority of which experience low profitability, this cost is exorbitant and potentially ruinous. According to the State Water Board’s records, California farmers using between 10 and 100 acre-feet of water annually account for only 0.18% of total agricultural water use. The situation isn’t much brighter for ranchers who store more than 10 acre-feet of water in stock ponds for their cattle. Though this regulation only requires monthly measurements to within 15 percent accuracy, accomplishing this is harder than it would seem. The various types of stock pond storage and diversion methods that California ranchers use are not all accessible year-round and thus not measurable within the accuracy required by SB 88. Variation in precipitation, temperature, and weather can prevent ranchers from correctly gauging stock pond storage levels on a monthly basis. For example, some foothill ranchers make use of stock ponds in the spring, summer, and fall that freeze over in the winter. Installing and managing remote monitoring systems capable of accurately measuring stock pond storage during inclement conditions can cost ranchers even more than small farmers. To make matters worse, it’s unclear whether the state forcing small farmers and ranchers to pay thousands of dollars for complex monitoring systems will significantly reduce or curtail unauthorized water diversions. In general, small-scale farmers and ranchers account for a very insignificant amount of the state’s annual total agricultural water use. Similarly, all of the state’s ranchers and dairy farmers use about 87,000 acre-feet of water per year, which makes up approximately 0.3% of California’s total agricultural water use. Both of these contrast starkly with the diversions of California’s 50 largest irrigation water rights holders, who account for 85% of total annual agricultural water diversions. SB 88, like many recent state regulations of water rights, is well-intentioned but plagued by unintended consequences. What benefit does the state receive from policing the thousands of farmers and ranchers who account for less than half a percent of the state’s total agricultural water use? Certainly, it is a necessary and proactive step to regulate surface water diversions. Few would argue against monitoring for illegal water diversions as a necessary safeguard. Yet, it is nothing short of government overreach to burden small farmers with the cost of monitoring and reporting on diversions of trifling amounts of water. To relieve these farmers while still maintaining the safeguard, legislators should increase the arbitrary 10 acre-feet threshold to at least 100 acre-feet. We should focus on fixing our current overregulation, not on prescribing an additional set of rules and fines. Our representatives in Sacramento would do well to review the efficiency of the regulations already on the books before considering any new legislation like AB 1668. 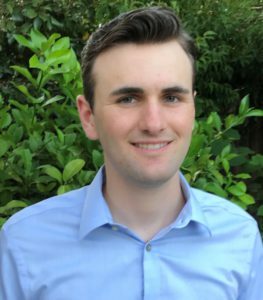 Griffin Bovee is a research assistant studying California water policy at Stanford University.